Ships, Barks, and Barkentines had 3 or 4 masts. Brigs and Brigantines had two. Sometimes schooners might have square topsails set on the foremast. But unlike these vessels, such a schooner would have a gaff foresail. 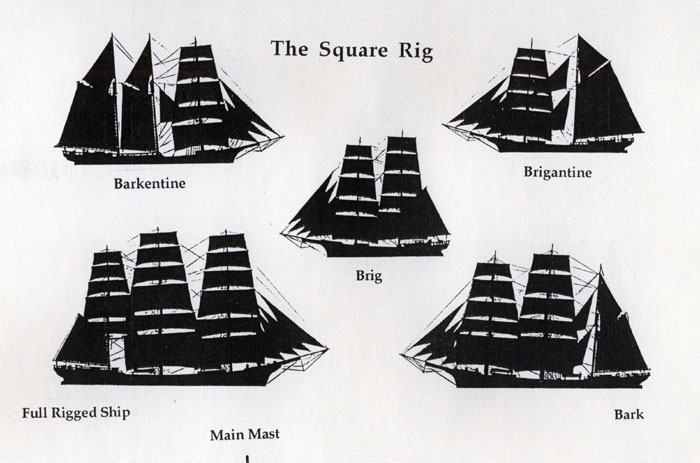 The diagram is from the Nova Scotia Museum Info poster, Sailing Ship Rigs. A brigantine has two masts, the foremast being square-rigged with the main fore-and-aft rigged. This rig is also called half-brig and hermaphordite brig. Empire ogee mirror with reverse painting on glass at top. 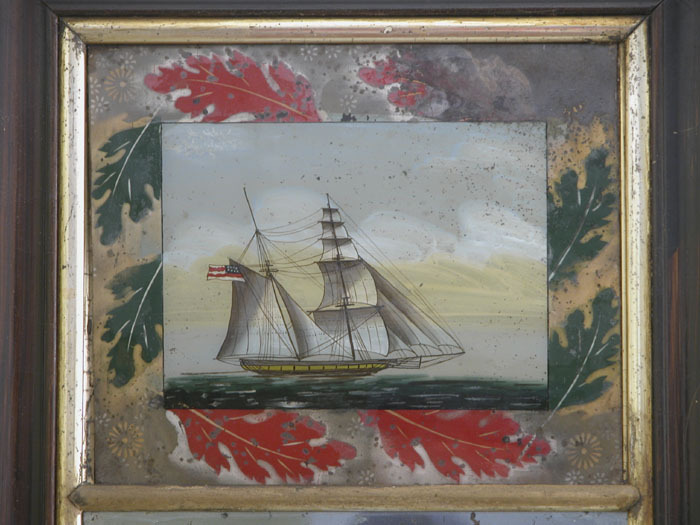 Painting shows a half-brig or brigantine with an American flag. 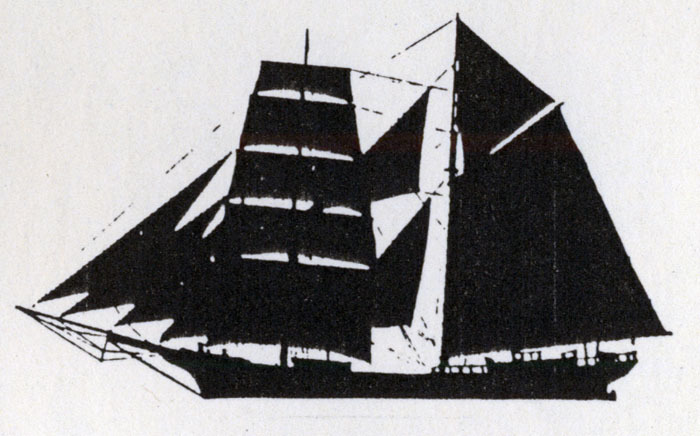 The heavily raked masts and gunports are in the style of the privateers out of the Chesapeake in the War of 1812, which were commonly called Baltimore Clippers.